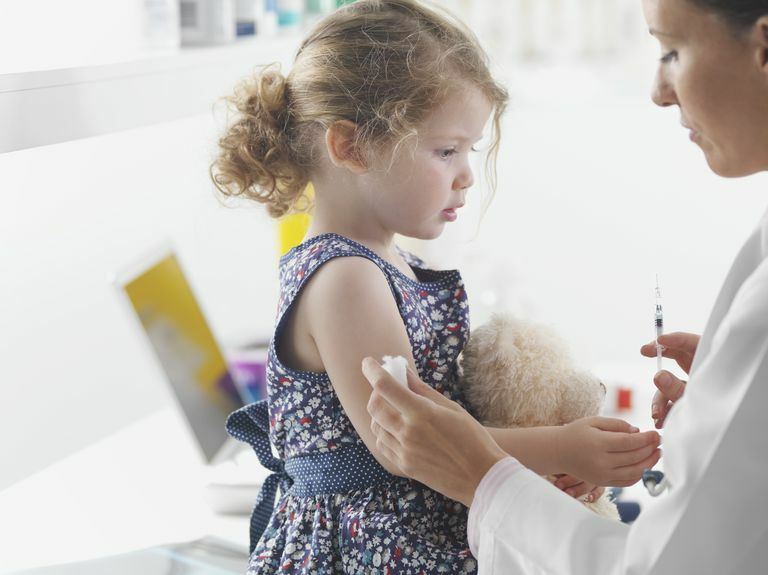 Prevnar 13 is an updated version of the Prevnar vaccine that can protect children against more types of pneumococcal bacteria that cause serious infections. Prevnar 13 can be routinely given to infants and children between the ages of two and 59 months to protect them against 13 subtypes of Streptococcus pneumoniae bacteria that cause invasive pneumococcal disease, including meningitis, pneumonia, and other serious infections. It can also protect children against ear infections caused by these 13 subtypes of Streptococcus bacteria. Who Should Get Prevnar 13? Prevnar 13 is usually given as a four-dose series as a part of the routine immunization schedule, with the primary doses at two, four, and six months, and a booster dose at 12 to 15 months. Prevnar 13 replaced Prevnar 7, which has been in use since 2000 and only covered 7 subtypes of pneumococcal bacteria. Children who have already received one or more doses of Prevnar 7 will simply finish their vaccine schedule with Prevnar 13. An extra dose of Prevnar 13 is also recommended for all children between the ages of 14 to 59 months, even if they have already received 4 doses of Prevnar 7. Children at high risk for invasive pneumococcal diseases, such as those with medical conditions like chronic heart or lung disease, should get an extra dose of Prevnar 13 through the age of 71 months. Children at the highest risk for invasive pneumococcal diseases, such as those with HIV or sickle cell disease, need at least one dose of Prevnar 13 before they turn 18 years old. This is in addition to the Pneumovax vaccine. Prevnar 13 is also routinely recommended for adults who are at least 65 years old. Like most vaccines in the current childhood immunization schedule, Prevnar 13 does not contain the preservative thimerosal. Children should not be given Prevnar 13 if they have had a severe allergic reaction to any component of Prevnar 7, Prevnar 13, or any vaccine that contains the diphtheria toxoid. The most commonly reported side effects of Prevnar 13 include injection-site reactions (pain, redness, swelling), fever, decreased appetite, irritability, and sleep problems. These vaccine side effects are similar to the those of Prevnar 7. Get educated and get your kids vaccinated and protected. CDC. ACIP Provisional Recommendations for Use of 13-Valent Pneumococcal Conjugate Vaccine ( PCV13) Among Infants and Children. MMWR 2010, 59:258-261: March 12, 2010. Morbidity and Mortality Weekly Report. Licensure of a 13-Valent Pneumococcal Conjugate Vaccine (PCV13) and Recommendations for Use Among Children -- Advisory Committee on Immunization Practices (ACIP), 2010. MMWR March 12, 2010, Vol 59, #9.